These trees remind me of huge fingers- like big monster hands! 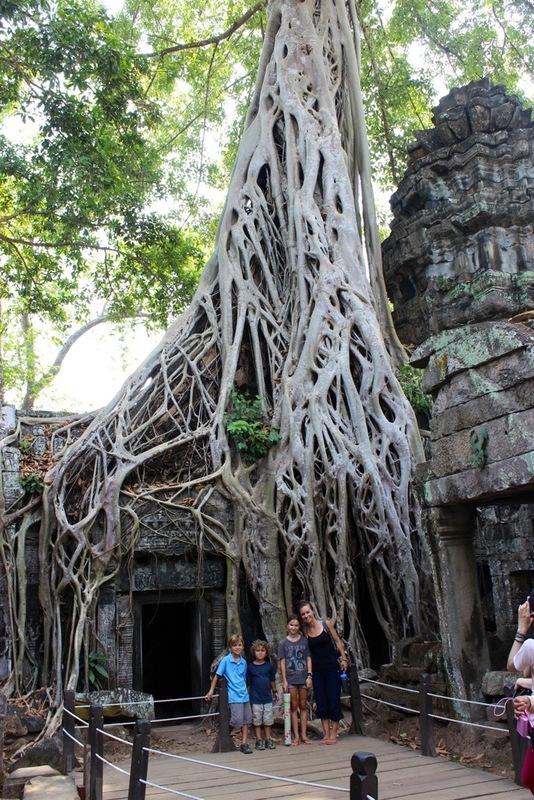 This temple is called Ta Prohm and it’s the one used in the movie Tomb Raider with Angelina Jolie. 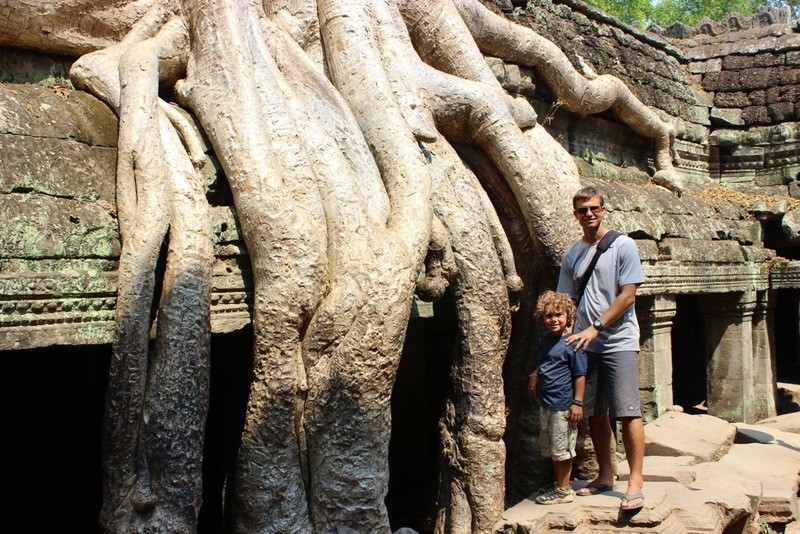 It has been left alone and is the reason for these huge trees growing into the walls. It almost seems fake when you see how these trees have grown. It’s also now a problem because when the trees die, they can fall over and rip up the walls.